The WSOP Europe is currently underway at one of the best casino places in the world that is at the Spielbank Berlin Casino, to which the first event of €2,200 No-Limit Hold’em Six-Handed goes to a German Player Mr. Makarios Avramidis. 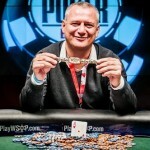 Makarios created the history and made a great debut to the world series of poker bracelet games. After winning the best shot of his life, Makarios earned a gold bracelet as well as his share of cash prize of €105,000. This was a great moment for the German poker player, who loves to play poker at various tournament and did really well at this best world series of poker championship. The game was for €2,200 No-Limit Hold’em, to which the second and third places were also for the players residing in Germany. Avramidis was very happy and overwhelmed after he topped the final table of the event. The first event of the WSOP Spielbank Berlin Casino 2015 was for €2,200 No-Limit Hold’em and Six-Handed. The event got total 197 entrants to the game which generated a good total cash pool prize of €328,180. Top twenty one players were able to get something as prize money. Here are some of the top players, who got something from the event number one of the WSOP Europe 2015. The first place/position and a Gold Bracelet went to Makarios Avramidis, an Amateur poker player of Germany (Born in Greece). He took home €105,000. The second place and cash prize of €64,930 goes to a player from Germany as well that is Mr. Frederic Schwarzer. He played very well till the end of the game but Makarios took the first place. 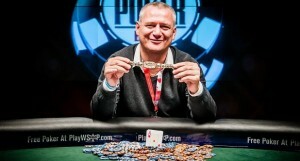 Paul Michaelis of Berlin (Germany) wins the third prize of the event at WSOP Europe 2015. 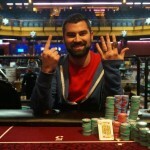 He took home €45,860. Stephen Chidwick of took home €32,600, and is at fourth place of the event. The fifth position of the event booked for Rick Alvarado who made €23,310. The 6th place of the prestigious first event belongs to Marvin Rettenmaier who made €16,740 as total cash prize.